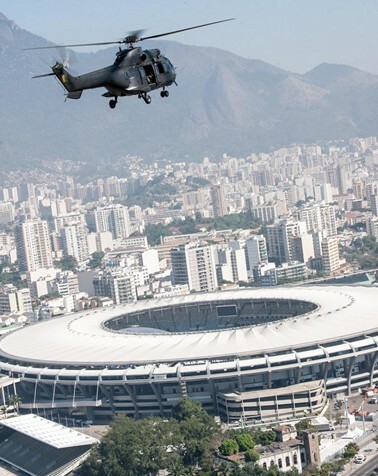 The Summer Olympics and Paralympics captured hearts and minds as world champions went for the gold - and they're not the only ones who had to deliver peak performances: Rio police chief Colonel Perlingeiro and Airbus Helicopters were hard at work around the clock to ensure a safe Games for all involved. Although it seems that all eyes were on the athletes during the 2016 Rio Olympics andwill again be during the upcoming Paralympics, Colonel Luiz Sergio Cosendey Perlingeiro, commander of the air support service unit of Rio de Janeiro's Military Police, took a larger view - quite literally. He was part of the Army Aviation's aerial operations mission that's using 90 Airbus helicopters to perform surveillance, counter-terrorism, defence, public security, emergency medical services (EMS) and electronic newsgathering missions across Brazil that helped the Games run smoothly behind the scenes. "Rio de Janeiro's topography and urban growth-features made the theatre a challenge in any condition," Perlingeiro says. "It only became more difficult during the Olympics, when the world's attention was turned on the city." 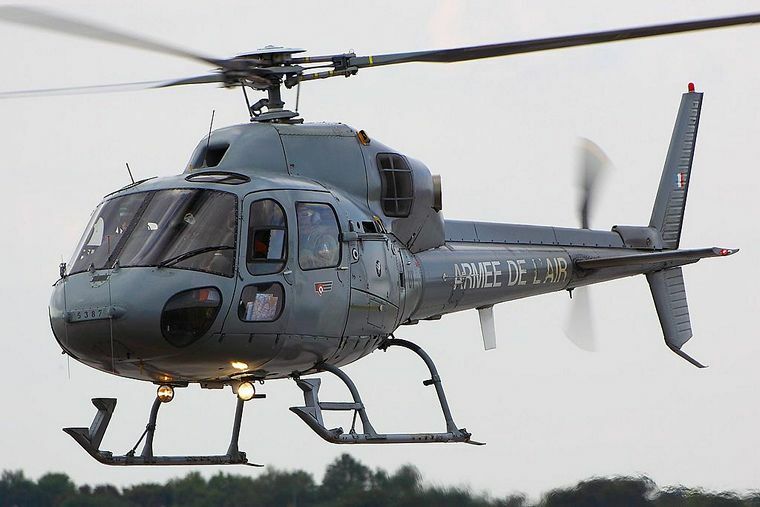 Olympic hosts like Rio - and London before it - are entrusting the successful rollout of their international sporting events to Airbus Helicopters, deploying its civil and military aircraft in the service of security. With as many moving parts as there are at an event of this magnitude - ensuring the safety of millions of spectators, residents, athletes and employees over 16 days and several disparate cities - comprehensive, agile coverage is paramount. During the London Olympic Games in 2012, more than 30 Airbus helicopters from the H135, H145, H125, AS365 and Puma families served as the backbone of the security force, covering the police, EMS, military, private and television activities. From the lighting of the torch to the closing ceremony, not one of these aircraft had to be taken offline during operations and missions. 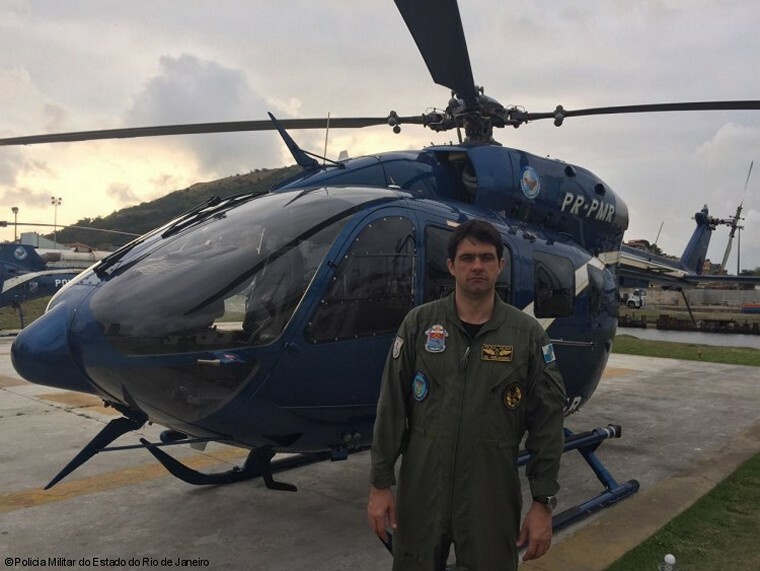 During the 2016 Games, in addition to imaging around Maracana Stadium during the Opening Ceremony, Col. Perlingeiro's team employed its helicopters to patrol the main thoroughfares of the city, and were ready to quickly ferry troops to hard-to-reach locations. "Certainly, our most important mission was aerial imaging using FLIR [thermal imaging]," says Perlingeiro. "This tool has enabled more accurate and secure operations, not only in the acquisition of important intelligence information but also among personnel and the general population on the ground." Public security is priority number one during the Olympics, and in Rio, that included employing the AS350 - part of the H125 family and referred to as "our wild card" by Perlingeiro - and the EC145 for imaging missions, patrolling, troop transport, aero-medical services, firefighting and rescue missions. The cutting-edge technology and performance that Airbus helicopters deliver best serves the team that knows how to maximize them. In Rio, Col. Perlingeiro's unit worked together as one. "Our team had a low turnover, so we had a great interaction," he explains. "Everyone has trained together, either as student or instructor, or even worked together previously. We aimed for an organized atmosphere that fostered operational safety, standardization of procedures, and mutual collaboration. We all own our mistakes and successes." One of the challenges of any Olympic Games is the kind of high-level orchestra-conducting that in-depth, multilevel security necessitates. "During the Games, we had several military and police agencies working together, and coordinating them was the biggest challenge," Perlingeiro says. "Our operators had to give special care and attention to different operating habits and airspace restrictions, ensuring no one flies too close to the events so as not to disturb the athletes." 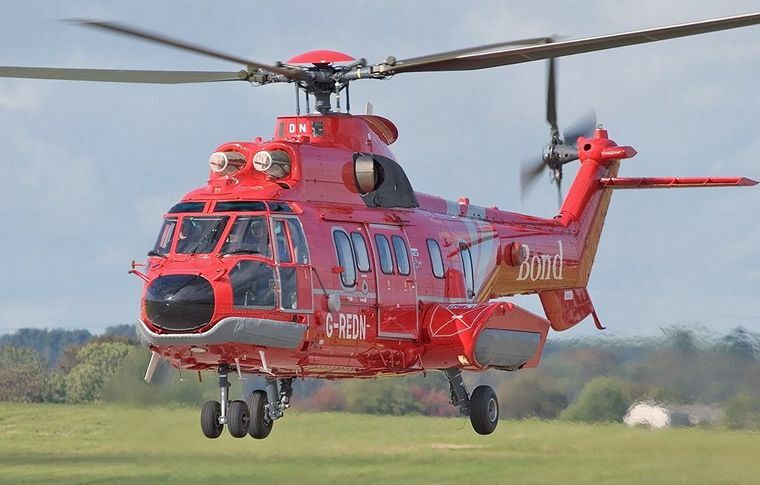 To back up these operations, Airbus Helicopters and Helibras had in place local support teams. The success of the London Olympics' security was in part due to measures like dedicated logistics and technical hotlines and 24/7 field engineering and technical support, not to mention doubling support staff and parts stock holdings. This summer, Helibras support teams were stationed alongside Army helicopters, with technical representatives, customer and logistics support managers and back-office teams located across São Paulo, Itajubá, and Atibaia. "We were constantly in contact with the support team to solve tactical radio configuration conflicts," says Perlingeiro, noting that radios are the main support tool for ground operations. Helibras also had a parts inventory, tooling and special supplies at the ready for all helicopters involved in the missions. The 2016 Olympic Games feature a 90-helicopter Airbus Helicopter fleet serving in Rio de Janeiro, Distrito Federal, Bahia, Minas Gerais, Amazonas and São Paulo. 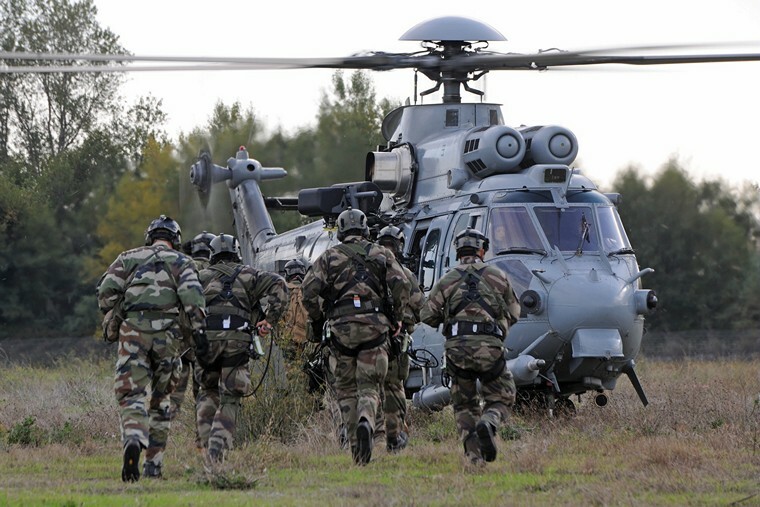 The Airbus Olympic team comprised off 7 civilian Ecureuils and 83 military & security aircraft. 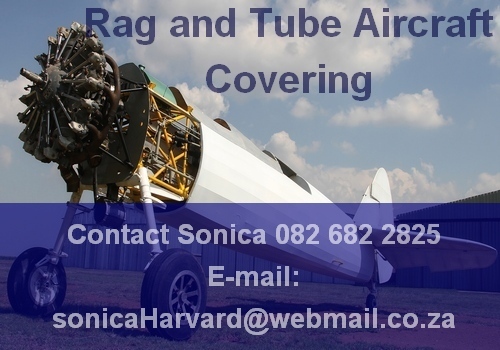 Some of the aircraft used were…….